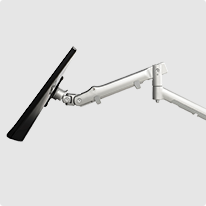 The AWM-FH dual plate desk clamp is a part of the Atdec modular family. 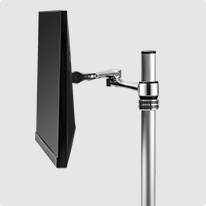 It is recommended for all 750mm post solutions and other configurations with extra heavy screens. 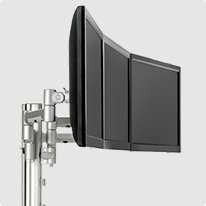 The dual plate design provides additional stability when it's required. Suitable for desks up to 68mm in thickness.